Humankind has already produced more than eight billion tons of plastic. Every year, we add another 80 million tons of plastic packaging to the total, only half of which is recycled. The rest ends up in a garbage incinerator or as trash that pollutes forests, meadows, lakes and oceans. Dr. Sabine Amberg-Schwab from the Fraunhofer Institute for Silicate Research ISC in Wurzburg is on to something that could solve the problem – a new class of material called bioORMOCERs. We have been looking into the global problem of packaging waste for a long time now here at the ISC. We are proud to be making a valuable contribution towards reducing the mountain of plastic waste with our research. But I wouldn't call it a revolution in packaging. 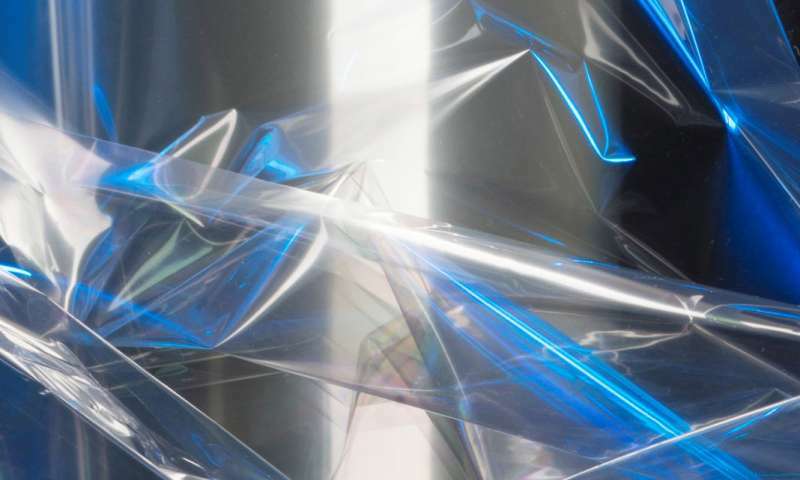 We have decades of experience developing ORMOCER-based barrier layers for packaging films, so it was a logical step for us to research organically-based, biodegradable coatings for films. With this newly developed class of materials – bioORMOCERs – you are not only making up for bioplastics' shortcomings; you're actually enhancing them. Can you explain this? Biodegradable and compostable packaging materials made of cellulose, polylactide or starch blends have long been on the market. However, these biopolymers are of limited use because they cannot properly protect food against moisture and oxygen. These materials are too permeable to moisture, oxygen, carbon dioxide and flavorings. Biopolymers cannot guarantee the minimum shelf life required for foods, so we upgraded these bioplastics with special organically-based, biodegradable coatings to improve their properties. They now provide sufficient protection to prevent moisture, gas and foreign substances from entering the packaging's contents. We want to make compostable polymer films competitive and help them to become a widely available commodity. How long will it be before we can buy cheese, chips and other groceries in compostable packaging coated with bioORMOCERs? Our approach helps the environment in two ways. We're tapping organically based source compounds. And we can use food waste or by-products from food production for our coatings. This conserves global resources. What's more, bioORMOCERs are biodegradable and compostable, unlike the fossil-based plastic materials used today, which degrade very slowly or not at all in nature. The consequences of this can be seen in the plastic that carpets the world's oceans, for example. An unorthodox question to close: Wouldn't it be best to stop using packaging materials altogether? That's right; we should try to avoid packaging wherever we can. But that is not going to work across the board. For a real revolution in packaging, we will have to have several legs to stand on. Developing compostable packaging. Keeping packaging in circulation, recycling and avoiding packaging.